You might have seen my instagram post from yesterday, featuring an adorable little yorkie in this ultra sleek, adjustable high chair. It’s called the ZAAZ, by Nuna. I know I don’t have a baby in here just yet, but let me tell you – I can’t wait! 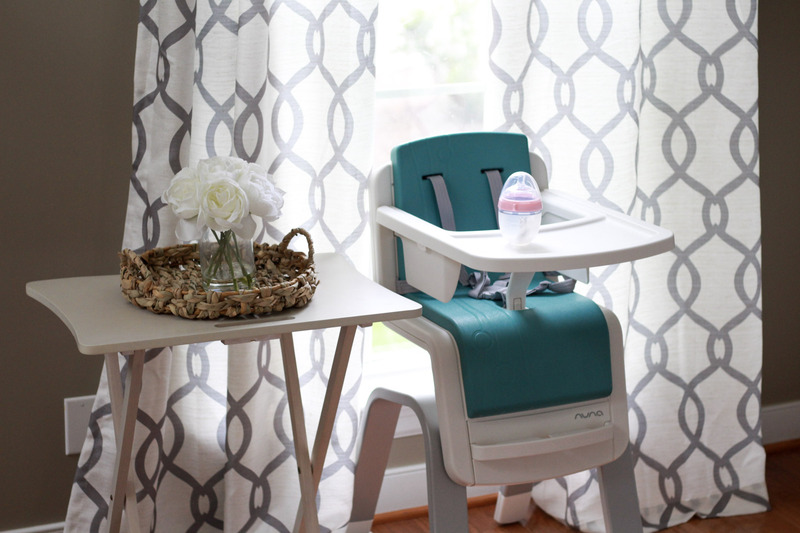 Our last high chair was okay, but this is such a space saver & easy super easy to adjust. The plastic components come off and can be put in the dishwasher, and the foam padding (the Jade part) is really easy to clean too. While all the colors are classic and gorgeous, I loved this color Jade, sold exclusively at Nordstrom because it’s gender neutral, and went really well with our decor. When Blaire was little, she had one of those swings that seemed like it was going to launch her across the room! 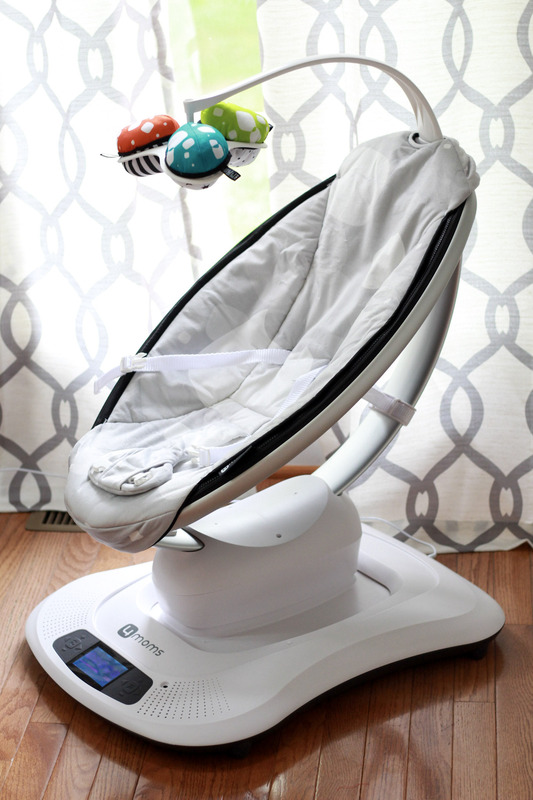 While she loved it, one of our friends (blogger Hilary Gutzwiller) had this mamaRoo swing and when we would have playdates- Blaire went right to sleep in this thing! I thought it was the cutest little swing ever (and it really is pretty little! ), and my favorite part is you can control it from an app on your phone. There are different settings, features, and you can even play your own music! I think I’m mostly excited for the ‘car ride’ setting, because what baby doesn’t fall asleep on a car ride? 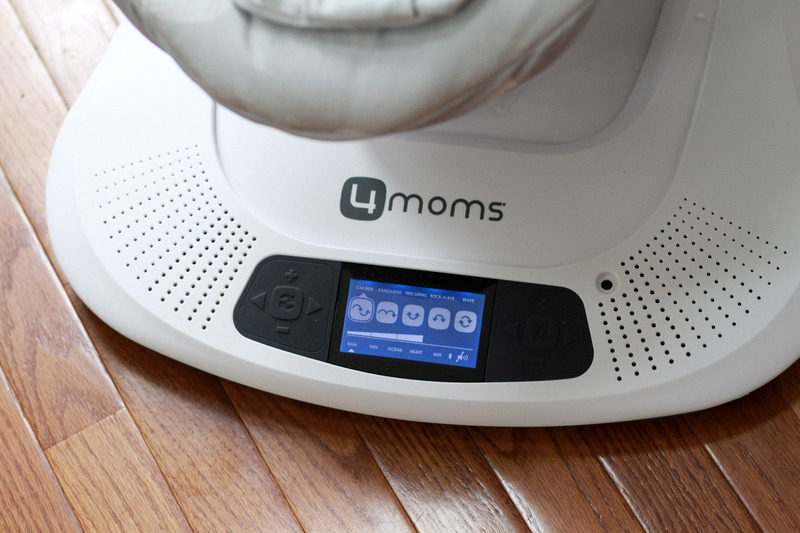 This one is the Plush Infant Seat in Silver. Another adorable must have that I can’t wait to use! I feel like every one has their preference on bottles. I used to use whatever, I think we had just some basic plastic bottles before and never really thought twice about it. When Chicco offered to send me some of their bottles, I figured it wasn’t a terrible idea to get some new ones after all this time anyways. While I’m always honest with you during my reviews – I was super impressed with these bottles when I opened them! These glass bottles, not pictured but can be found here are awesome! Pretty sure you could throw them across the room and they wouldn’t break with this little rubber gripper on them, but I’ll let baby test that out for me :). 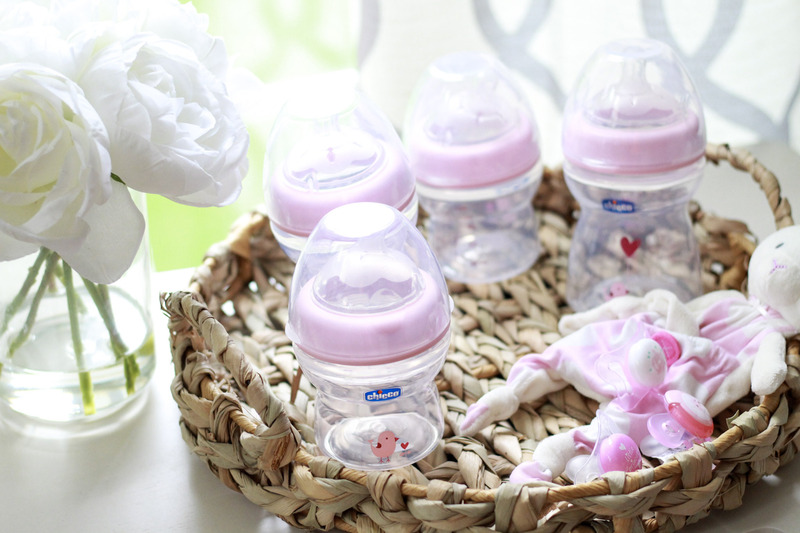 Now, if we are talking total cuteness – this bottle set with the pink chicks takes the cake! Even this little bunny ‘passy’ holder and matching princess pacifiers just makes my heart melt. 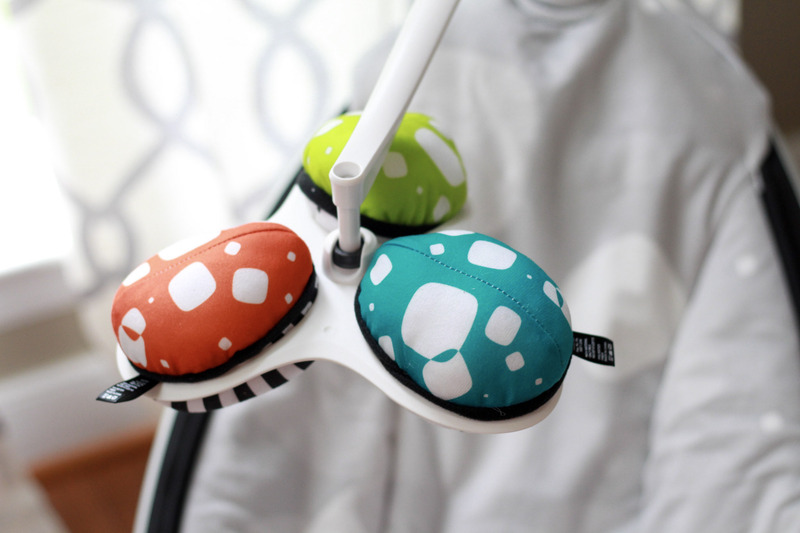 You can shop all Chicco feeding gear, including the Natural Fit line, at BuyBuy Baby. Not gonna lie – I really want this set here and it’s only $59.99, plus it’s usually pretty easy to find a 20% off coupon to shop. 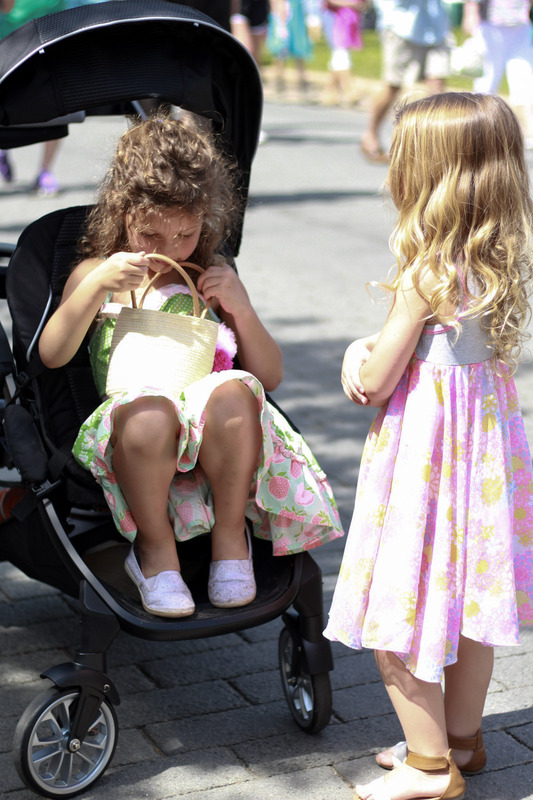 Shout out to my friend Kim for letting me borrow her daughter, Cora (green dress) to test out this stroller for two. 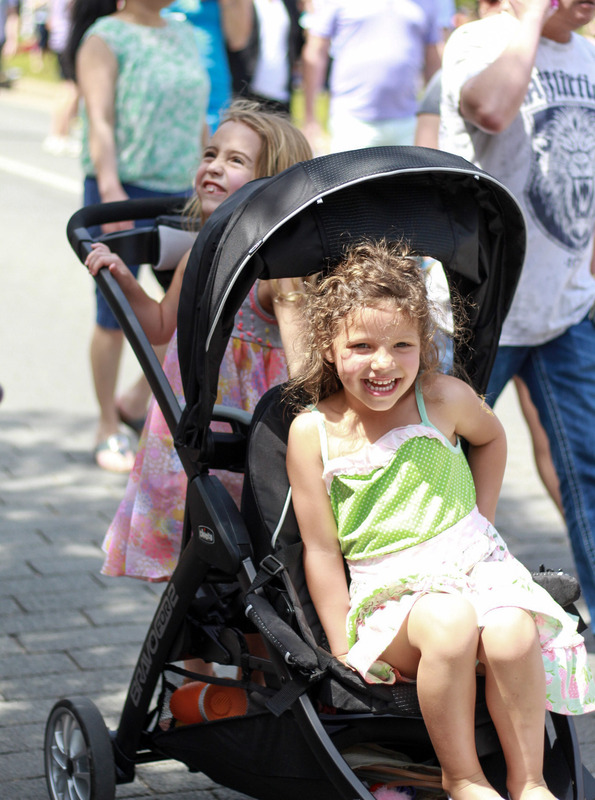 I can’t stand the cuteness that these two radiate in this Bravo for 2 Stroller. 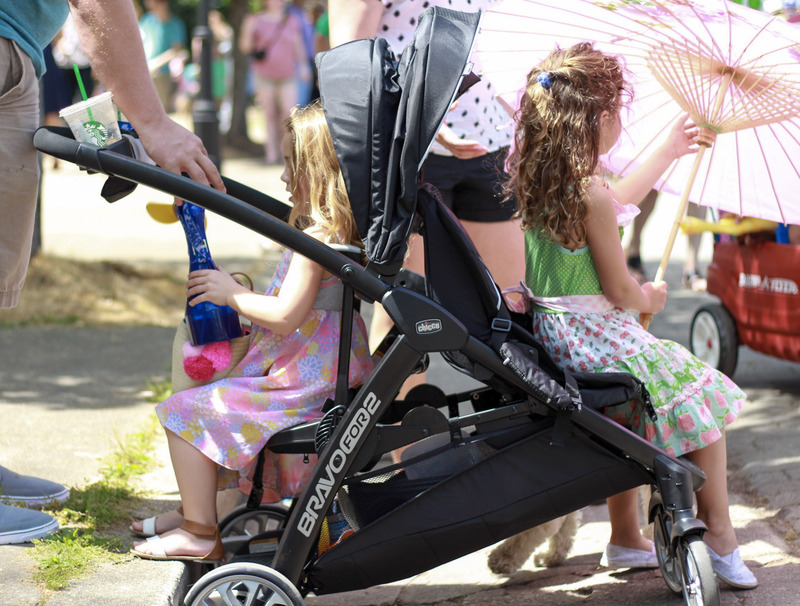 The first time around, I seriously hated our stroller. It was cute, worked well enough, but if it was a question if we were talking it with us or not I just said forget it. and pretty petite- so I really needed something a little bit easier and lighter. 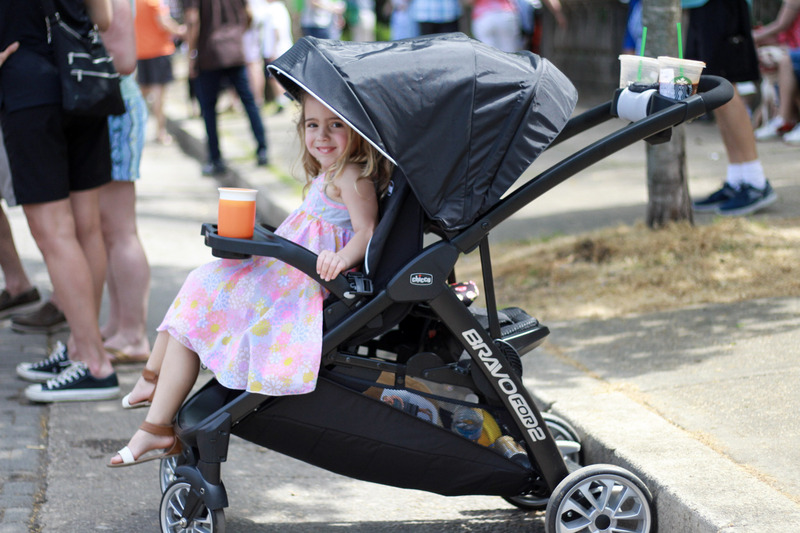 I did a ton of research on what stroller to get this time, and I am thrilled with my decision to go with Chicco’s Bravo for 2. 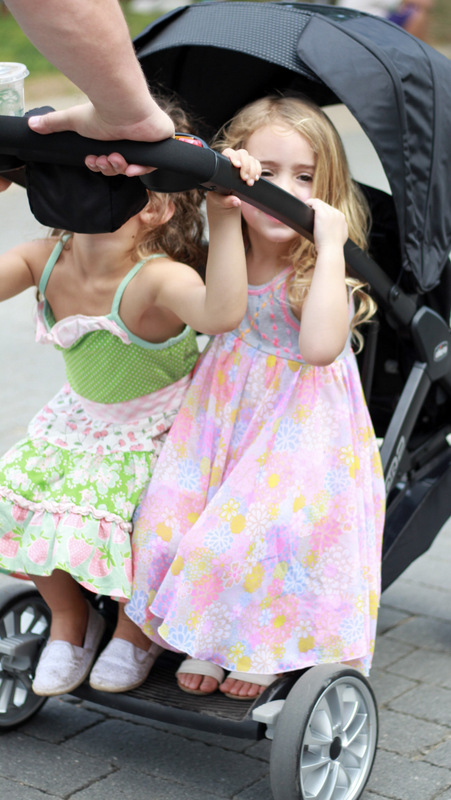 I can also close it easily, which I could never figure out with my old stroller. 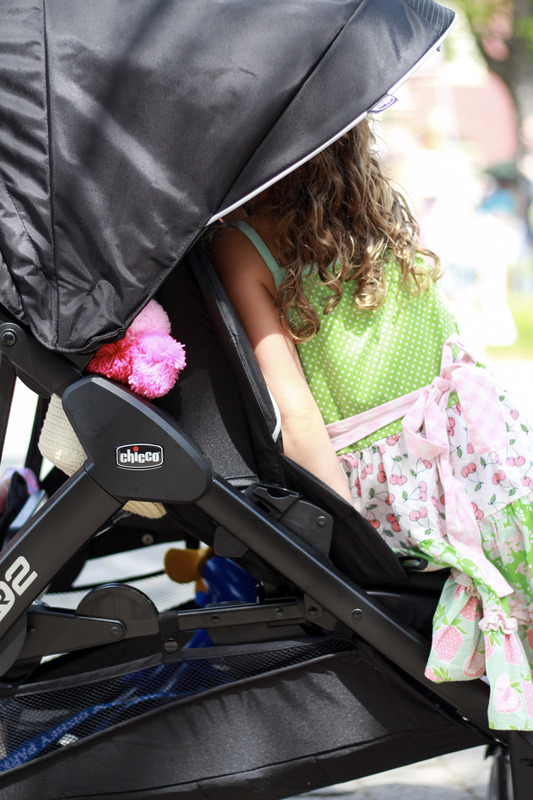 I fought with myself, wondering if I really needed a two seat stroller, or could get away with just one. I also hate those big bulky double wide strollers that look like you’re pushing around a freaking car. 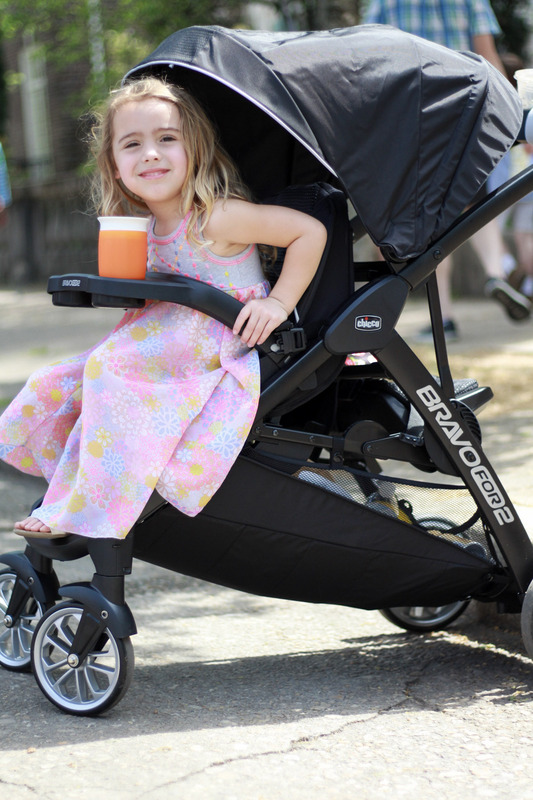 With Blaire being 4, and never really a stroller user, I knew I had to look into all the options. As soon as I saw this one, I knew it wasn’t going to get much better than this. 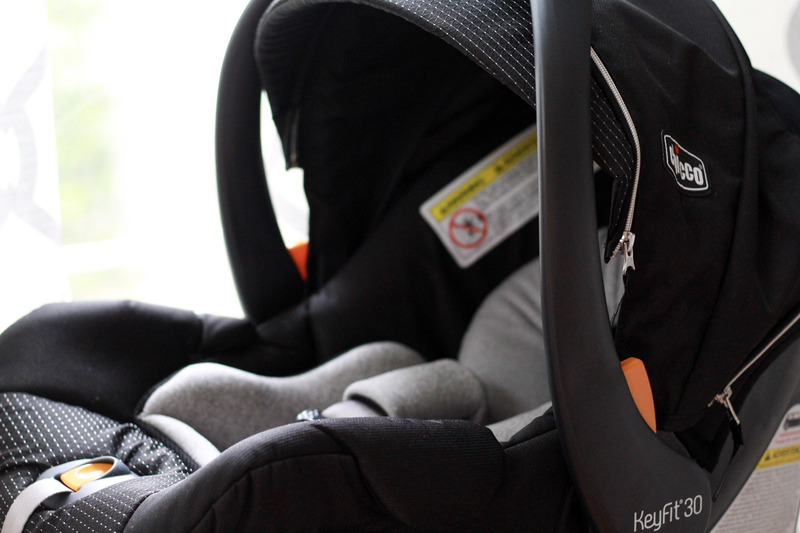 Here is what I love about it most: it fits our Chicco Keyfit 30, while also allowing Blaire to sit, or stand, in the back by me. When the baby outgrows the infant seat, the two of them will both still fit comfortably, and my crazy 4 year old can either hop on and off the stand, or I can strap her in the mini seat in the back. Overall, it’s a little longer than a single stroller, but no where near the monster size of a regular double stroller. I am SO HAPPY with it. When Blaire and her friend Cora tested it out over Easter weekend (it was a live safer in the parade crowds!) they both absolutely loved it, and I kept all of our stuff right underneath them in the storage. 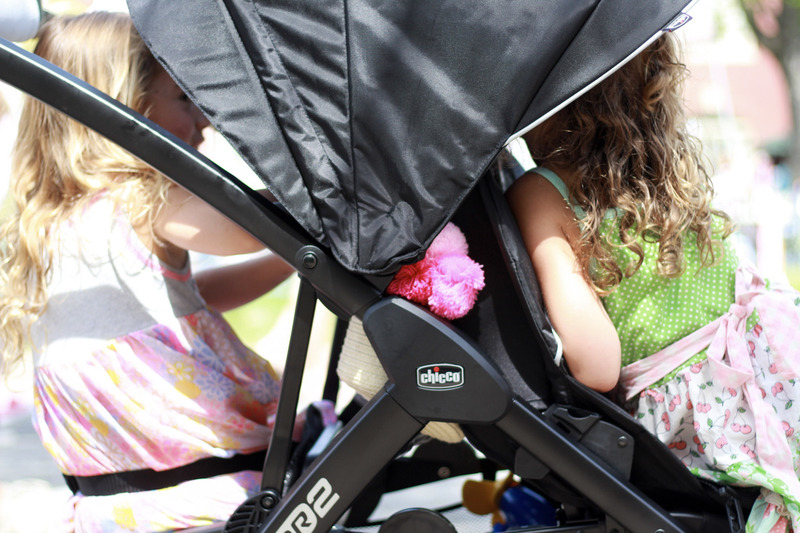 Not to mention the most important part – two cupholders for our coffee 🙂 I highly recommend this stroller if you have kids a couple years a part and aren’t sure with what stroller to go with. It’s wonderful! All opinions on these products are 100% my own, some affiliate links were used. Have you tried any of these products? 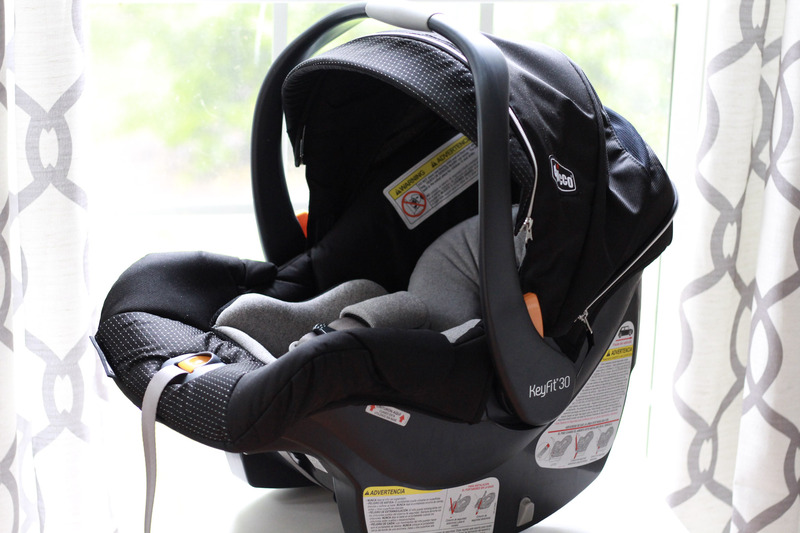 What’s on your baby gear wishlist? how fabulous are these baby items taking note for sure! love your blog! these products look like game changers! 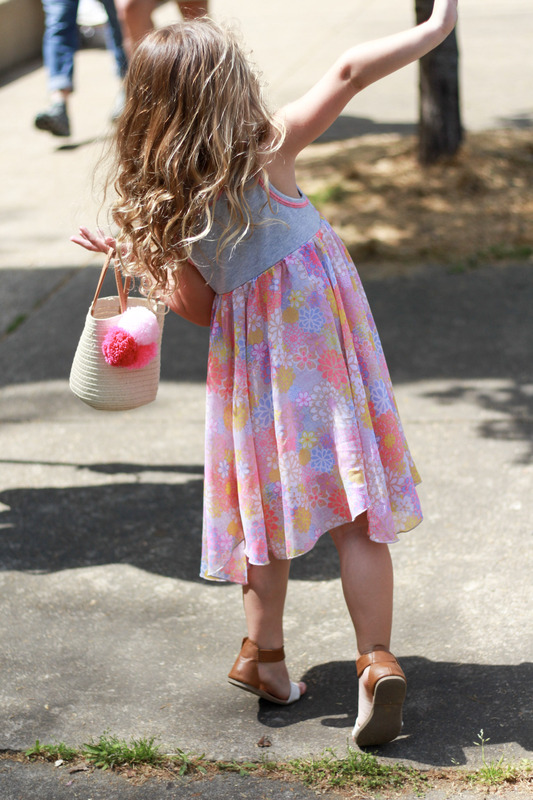 Blaire is such a little model in these pictures! So adorable! Will be pinning items from this post to remember in the future! Blaire is so stinkin’ cute! All of these products look so great! Can’t wait to see pictures of baby #2! 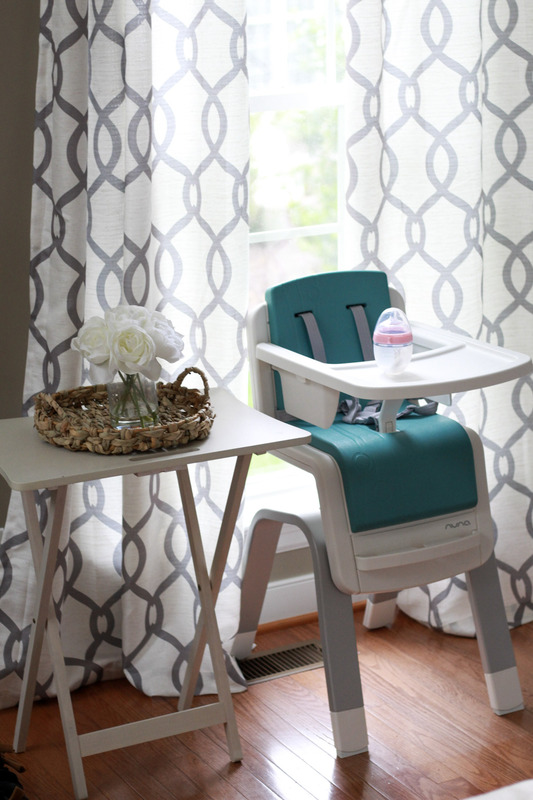 These look like wonderful products for your next baby girl! Congratulations! All of those look like wonderful products! Love hearing your feedback on all of these products! Thank ya!! 🙂 so glad you liked it! So many great baby things! I’m NOT a mama yet but will definitely pin this for future and also for upcoming baby gifts!! Thanks for sharing lady. Thanks Stephanie! Hope your week is off to a great start!